In the previous posts about the silverfish and the rove beetles, I mentioned that I found the insects in native fire ant nests. 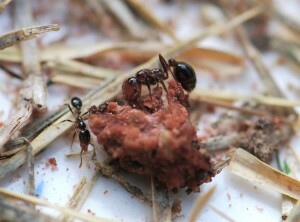 The native fire ant that is extremely common in Arizona is the southern fire ant, Solenopsis xyloni. 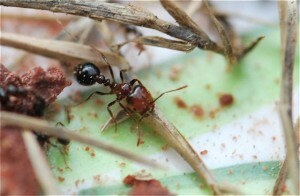 Like other fire ants, the southern fire ant has a clubbed antenna and two nodes in its petiole. 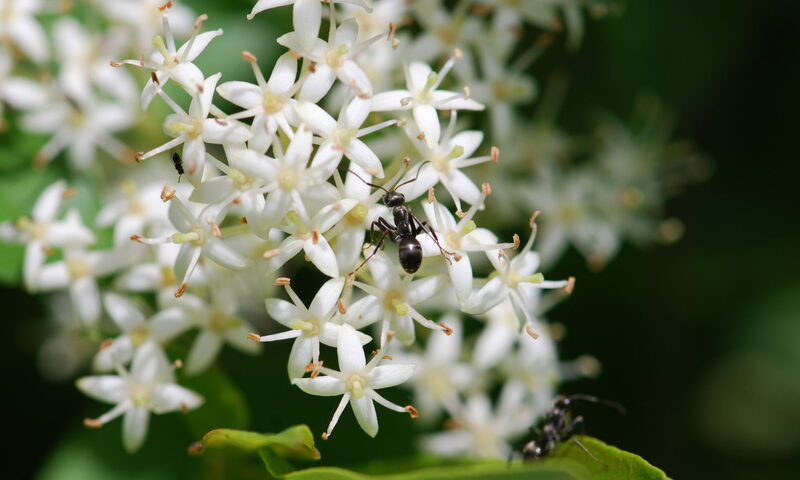 As with many southwestern ants, it seems to be highly variable in color. 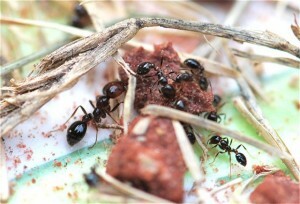 Our local species are dark brown, although the major workers have some lighter red-brown, usually on the head. 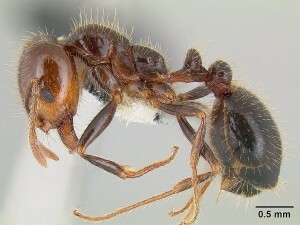 As you can see from this photograph, Solenopsis xyloni does have a sting. Fire ant workers exhibit a range of sizes. They make distinct and heavily followed trails to certain foods. These are consuming old cat food. I noticed the soldiers often vibrate their gasters up and down while feeding. I’m sure you will see more about this common species in future posts.